Following its recent victory at Rally Catalunya, Citroën Total Abu Dhabi WRT's line-up for the final event of the year features Craig Breen / Scott Martin and Mads Østberg / Torstein Eriksen. The crews will be aiming to capitalise on the strong form shown by the team in the second half of the season. The final round of the season, Rally Australia, signals a total change of scenery with a wide variety of road surfaces. The gravel tracks in the Australian jungle are contrasted with smooth, flowing roads that look remarkably like those in New Zealand. Craig Breen / Scott Martin and Mads Østberg / Torstein Eriksen will not be venturing completely into the unknown as they draw on their experience from previous rounds this year. The C3 WRC has proved its competitiveness throughout this season and was in contention for a podium place for much of the rally in 2017. 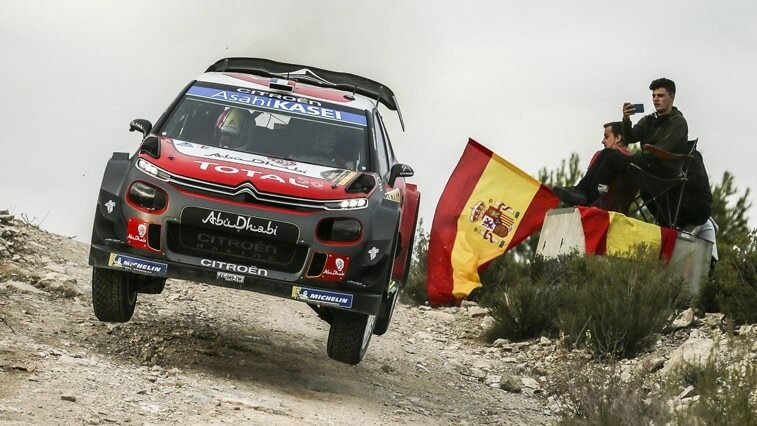 The C3 WRC further demonstrated its impressive form during its recent victory at Rally Catalunya, which, as the only mixed-surface round on the calendar, is considered to be the season’s ultimate test. The Spanish round also provided the additional challenge of highly varied weather conditions, which could prove similarly testing at this rally. Although Craig has only contested this rally once before in 2017, he showed his undoubted ability to adapt quickly as he held fourth place with just four stages to go. His Norwegian team-mate, despite missing last year's rally, is pretty familiar with the challenges presented at this event, having made three previous appearances down under. Back in the team line-up, having made way for Sébastien Loeb in Spain, Mads knows how important it is to get on the pace straight away. This will allow him to take full advantage of his eleventh position in the running order on day one and therefore of the 'clean' roads, provided of course the weather remains dry. However, if there is wet weather, there is a chance the roads will become extremely slippery, and at that point it is preferable to be among the early starters. Eighth on the road on Friday's leg, Craig Breen also has a great chance and will be determined to confirm the very strong pace he has recently shown on gravel. With the exception of Coldwater (SS2/SS5), which has not been used since 2014, this year's itinerary will be familiar to the championship regulars. It features relatively minor changes such as tests competed in the opposite direction and various sections of stages pieced together. Saturday's leg, the longest of the rally with ten stages and a competitive distance of 133km, includes the former Nambucca stage, noted for its smooth, flowing surface similar to the roads in New Zealand. This year it has been split into two tests: first of all, Argents Hill Reverse, then Welshs Creek Reverse. Longer than most Sunday legs (83.96km of timed stages), the final day of rallying will see the crews tackle roads to the north of Coffs Harbour, known for their bumpy nature, which will be hard on the suspension and dampers. Pierre Budar, Citroën Racing Team Principal: "After being rewarded for our constant efforts by our recent win in Catalunya, the entire team is determined to finish the season on a high. This is especially true given that last year we were competitive on the first appearance of the C3 WRC in Australia. We'll be hoping that the weather is kind to us on the opening leg and that we can also take advantage of our position in the running order to make the most of our opportunity." Mads Østberg: "Although I missed this round last season, I'm delighted to be competing here again, especially as I know the stages well which haven’t changed much since my last appearance. It's a fast event, and really enjoyable to drive. I've always been quick here, even though a bit of bad luck on occasions has meant that results haven't always reflected my speed. I haven't driven my C3 WRC for a little while now but I’m sure I'll adjust to it again quickly. With our road position, in theory, we have a very good chance to do something here. It's up to us now to make the most of the opportunity." Craig Breen: "Although last year was my first appearance here in Australia, I had good speed on the stages, until unfortunately I got caught out by a heavy downpour on Sunday's leg. This year, some older sections from 2014 to 2016 have been brought back into the itinerary, but I love this rally and I'll be doing everything possible to compensate for my lack of knowledge of the stages. I have high hopes that I'll be on the pace, as I was during the opening leg on gravel in Spain. Given that it includes parts of stages used in the rally, the shakedown is really representative, so it should help us get our bearings." Covered with a fine layer of tiny round stones before the cars tackle the stages at full speed, the hard local roads are especially slippery for the first drivers in the running order. When the WRCs, with their powerful engines and considerable traction, begin to mark the lines on the road, the challenge posed for the crews is to use these lines as effectively as possible, whilst taking great care not to drift outside of them. The difference in grip between being inside and outside of the rally lines is so significant that there’s a chance the driver will lose control of the car if they drift out. Therefore they need to know how to slide around corners in a controlled fashion. Make a mistake and at best, they lose time and at worst, they end up off the road. 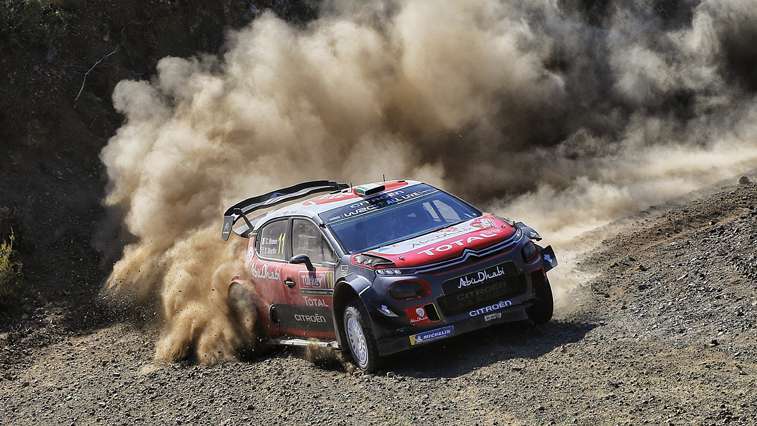 Since the rally moved base from Perth to New South Wales (Kingscliff in 2009 and then Coffs Harbour since 2011), Citroën has always been competitive, with no fewer than four podiums in seven years (2nd and 3rd in 2009, 3rd in 2013 and 3rd in 2015). In 2011, Sébastien Loeb and Sébastien Ogier were the quickest off the mark, but they both went off, caught out by dreadful conditions caused by torrential rain. In Perth, however, where legend has it that you needed to touch the statue of a Kangaroo in the city centre in order to win the rally, Citroën prevailed at the event on two occasions. 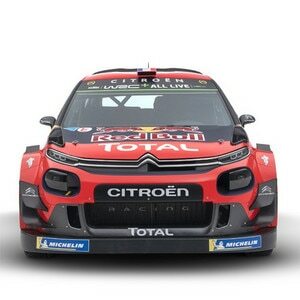 It was also there that Sébastien Loeb, according to Didier Clément, his long-time engineer, made an important step forward in his career. At the 2003 rally, he finished as runner-up, 20 seconds behind Petter Solberg after having fought with the Norwegian for long periods for the win. After a difficult Rally Finland, the French ace had made good use of a test session held after the rally. Something clicked into place for him, whilst the team also made a few minor but key adjustments to the set-up of his Xsara WRC.